Every year, thousands of people are injured or even killed by faulty products. When a dangerous or defective product has injured you or a loved one, depend on the product liability lawyers at Williams & Thorson, LLP. Our attorneys have successfully stood up to many powerful corporations and insurance companies. In fact, throughout the years, we have successfully obtained millions of dollars in compensation for our clients. You should never suffer in silence when you're a victim of Product Liability. In Garland, TX, our skilled team of lawyers is ready to hold any company accountable for its defective products. Injuries happen, but you shouldn't have to endure pain and suffering if it wasn't your fault. Allow our product liability attorneys to give you extra peace of mind and much-needed compensation by handing your case. We have an excellent track record for successfully litigating product liability cases. Schedule a free consultation with one of our attorneys. If we believe you have a case, we will not charge a fee unless we win! Companies and manufacturers should be held responsible for their actions. Most importantly, you deserve to be compensated for any injuries—physical or emotional. If you believe you are a victim of a defective product, it's important to act quickly and consult our product liability lawyers. Some injuries and accidents caused by defective products have shorter notice provisions, which may be very strict. 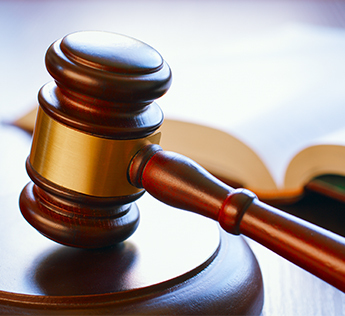 Depend on attorneys that understand the complex laws in the field of product liability. We have the proper resources and years of experience to accurately evaluate and handle your case. In addition, we work with a network of experts who can be called on as consultants and witnesses if needed. At our firm, we know how to take care of all the legal details so you can heal from your injuries without worrying about fighting your own legal battles. Contact us for prompt attention to your needs if your loved one has been injured by a defective product. We proudly serve clients throughout Garland, Mesquite, Rockwall, Richardson, and Balch Springs, as well as the DFW Metroplex.